The dog flu is here and this bug isn’t messing around. Humans aren’t the only ones who suffer from a contagious illness – dogs can share the flu germ too. As our pets advocates, let’s stop the spread of dog flu together. 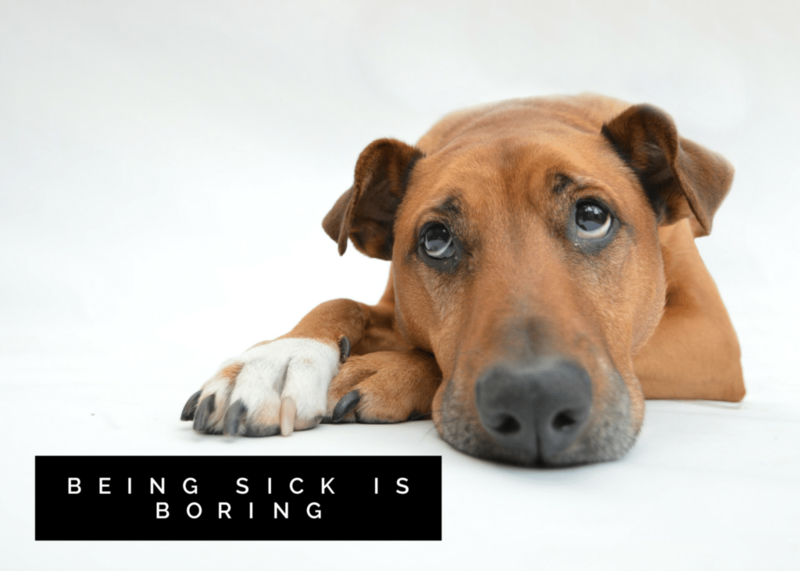 This nasty virus going around gets passed through the air when dogs sneeze or they can become infected by people when germs jump on hands or clothing, where they can live for hours. This beast is much more powerful than the good ol’ kennel cough that we’ve all become familiar with. 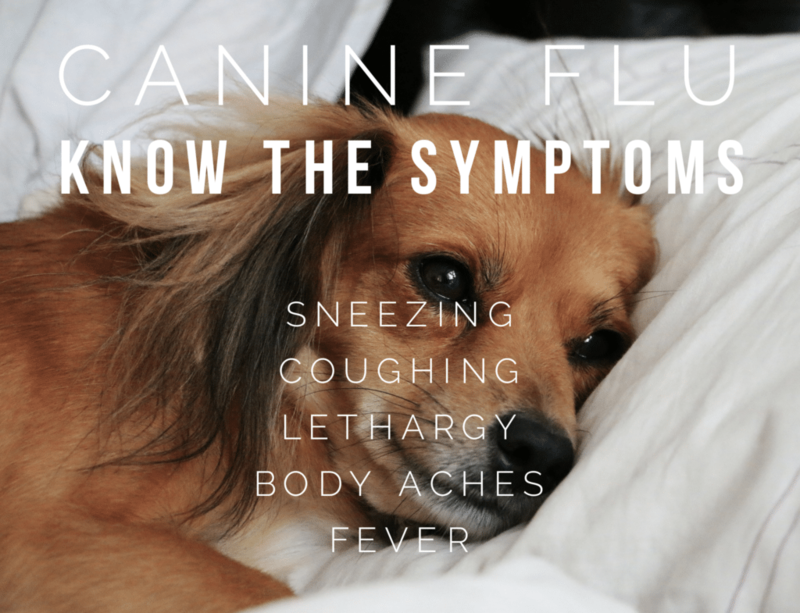 With this flu, a dog can be infected for five to seven days before showing any symptoms, and as many as 20% may not show symptoms at all. The H3N2 flu is VERY contagious and spreads through respiratory secretions. Although this germ is nasty, it’s also a bit of a wimp, it CAN be wiped out in 48 hours with help from our community and dog care centers. If we, as our pets advocates, continue to allow our dogs to socialize – this wimpy flu wins – over and over again. We don’t necessarily know where this ugly virus starts, but what we DO know is how it survives, where it hides and how to conquer this beast. With a little work, we can stop the spread of dog flu. We really don’t have a choice anymore and quite frankly, I’m surprised we made it this long flu-free. Here we are now with another flu outbreak. Only this time it’s an epidemic in our area. In 18 years since the first big outbreak, so much has changed. 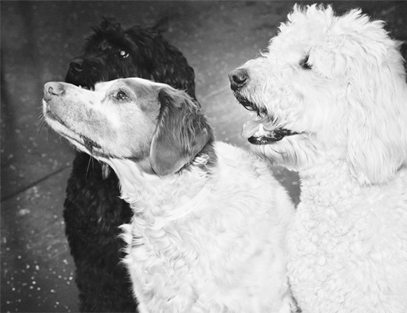 We as pet parents, finally understand the importance of socialization and training. Options for our dogs have grown substantially. We have organized sports for our dogs, care facility choices, we’re taking grooming more seriously, and we’re finally socializing our dogs the way they deserve to be. We’re exercising our companions more, greeting dogs on our neighborhood streets more confidently, and even going shopping at local outdoor malls that allow our family pets. That being said, with this socialization comes risk. We have the fear of dogfights, unforeseen accidents, play injuries, and yes, contagious illnesses. Here’s the thing. If we don’t vaccinate and plan to socialize our pet in an organized facility it will soon be the norm that this vaccine is required. If you don’t wish to vaccinate, you will need to find alternate care or activities for your dog. There’s just no way around it. Dogs are at serious risk, pet parents are understandably disappointed when their dog gets the flu and businesses suffer horribly. According to reports from the American Veterinary medical association, less than 10% of pets who have the dog flu will die. That number is quite low. In my estimation, 100% of the dedicated dog lovers working in the animal care industry are absolutely exhausted from tackling this epidemic and trying to stop the spread of dog flu. The intense disinfection process coupled with contacting parents one by one with the disappointing news that they need alternate care on the fly is daunting, to put it mildly. Veterinary clinics have to be extra cautious and many are requiring that patients wait in the car until they are ready to be seen. Some are even doing exams in their patients’ car wearing protective gloves and gowns to prevent cross-patient handling. Our veterinarian friends have been outstanding in providing us with the tools and information we need. They have reached out personally with their concern, offered educational resources, and guides for distribution for our pet parents. For example, Oakland Animal Hospital can’t stress enough how important it is that care facilities along with help from the wonderful people at Merck tame this flu beast. Please refer to https://www.dogflu.com/ for SO much more information. This website has a wealth of helpful information. Not only for pet parents but for care facilities as well. Many care facilities are shutting down, and some are no longer taking new clients. MOST have gotten on board and are now requiring the flu vaccine because they too are taking this epidemic seriously. That’s the “camp” we’re in. At Wag ‘N’ Tails, as you know, we offer our clients only the best. The trust of our clients and the care of their pets come first. We may upset some of the clients, but we have to do what’s right. In the long run, if there’s another outbreak, our clients will thank us for this decision knowing their dogs are well protected and knowing we’ve done everything we can to stop the spread of dog flu. ALL DOGS attending Wag ‘N’ Tails Dog Activity Center will be REQUIRED to have the flu vaccine in order to begin and continue care with us for any service. Due to the lengthy gestation period for the dog flu vaccine, once your dog is vaccinated you must wait 4 weeks prior to returning if your dog has been infected. We will only be allowing non-clinical dogs at this point who are veterinarian approved to return to school. We will be calling our clients with upcoming boarding reservations, although if you have a trip booked or even a grooming appointment scheduled, please be advised that you are on a bit of a time crunch to begin the flu vaccine process due to the 2-step process. Please consider keeping your pet away from others until the vaccine for dog flu is administered. Otherwise, the cycle will continue. We can only do so much with medicine and science although, there are quite a few things as pet parents that we can do. Help us stop the spread of dog flu by keeping your dog away from other dogs until they are safe. Your dog will love you for it and so will your fellow dog lovers in our local community. Note: If your veterinarian feels for any reason that your pet should not receive the flu vaccine, we will absolutely accept your pet with a doctors note. Stay tuned loyal pet parents! We know how difficult this is for you. We’ve been wearing booties, gloves, gowns and working tirelessly. Not only to follow the Infectious Disease Handbook rules but to also fine tune our IN HOME CARE details. We will soon have more info coming on how we plan to come right to your door to help you get through this change in your routine. We’re sure your dogs aren’t thrilled about this either! Be sure to follow us on all social media and that you are on our email list so you don’t miss out on the details. We are already creating a waiting list. You may also call the office at 586.781.6400 for more information. Thank you for your patience and understanding.